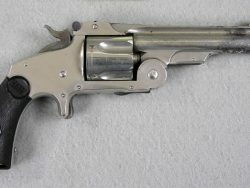 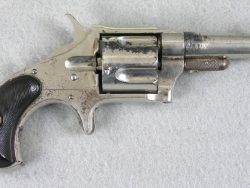 Smith & Wesson 38 Safety Third Model D.A. 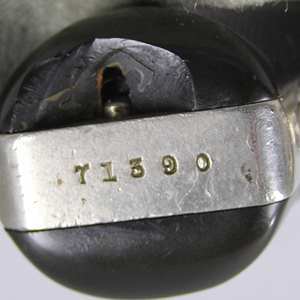 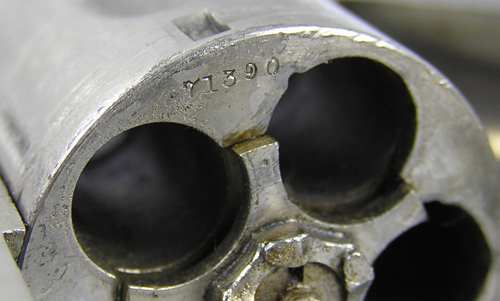 This is serial number 71380 and is all matching numbers. 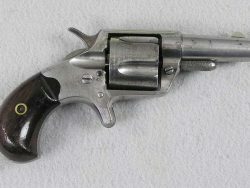 The mechanical function is very good and tight. 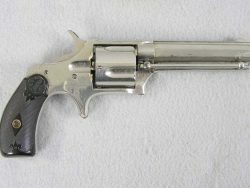 The bore is very good and shiny but does have a few areas of black powder corrosion. 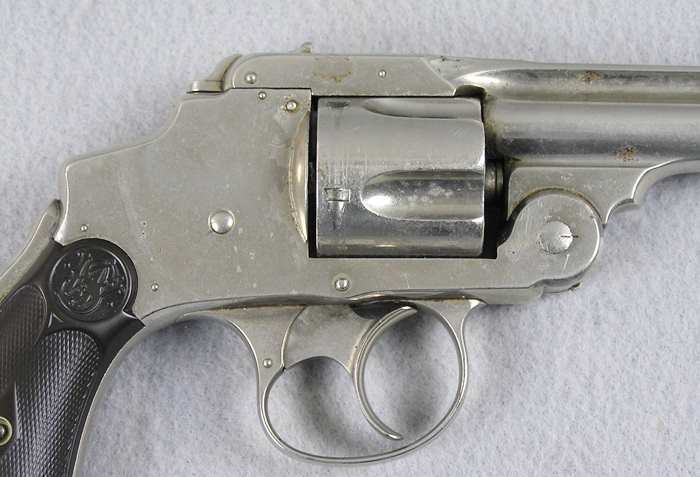 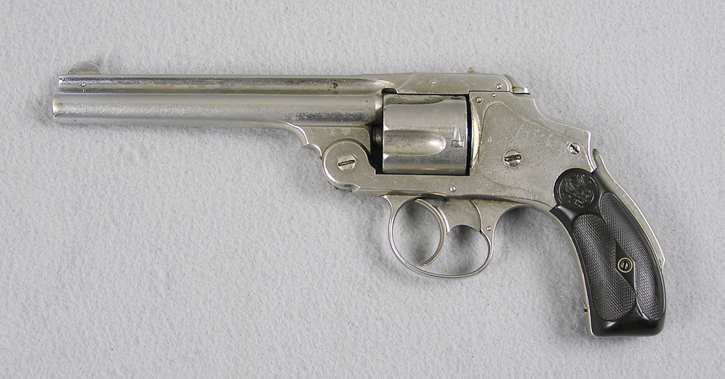 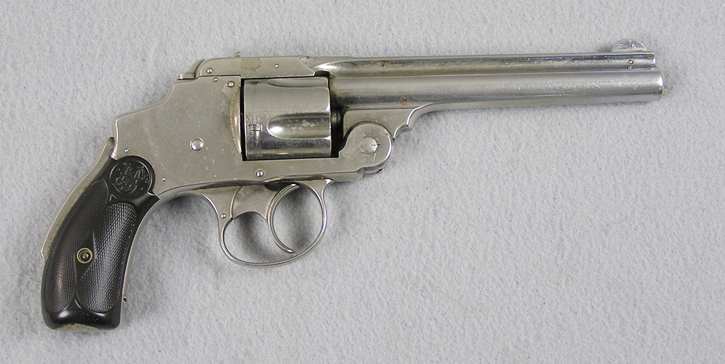 This revolver retains 80% original nickel finish and the 5” barrel is hard to find. 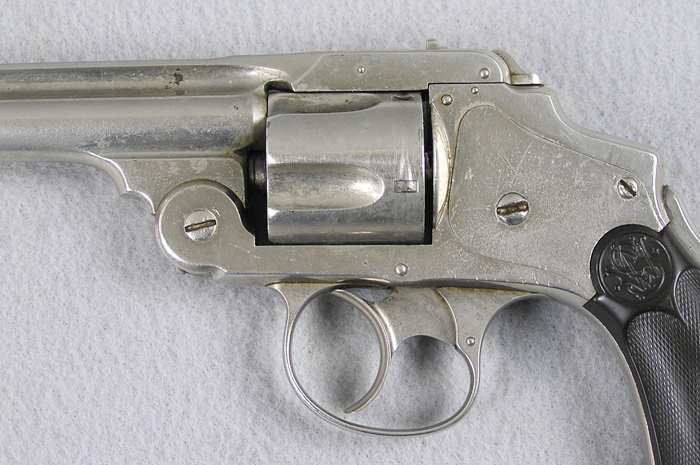 It still retains 80% nickel finish.